New Delhi: Personal and home care products company Dabur India Ltd grew its net profit for the quarter ended 30 September at the fastest rate the company has seen in the past four-and-a-half years on the back of higher demand from consumers and lower raw material costs. 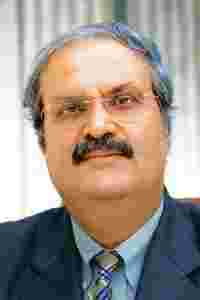 The company also announced the terms of its acquisition of the residual 8% stake in Fem Care Pharma Ltd.
On Monday, Dabur chief executive officer Sunil Duggal said the company would give Fem shareholders five Dabur shares for every Fem share they own. “Though Fem operations have already been integrated with Dabur, by the end of this financial year, Fem will be fully merged and will be a part of the company’s skincare initiatives," he added. Dabur also announced that in the quarter ended September, the first full quarter under the new management, Fem Care had grown 26.4% and contributed 4.2% to Dabur’s revenue. Dabur ended the quarter with revenue of Rs855.06 crore and net profit of Rs140.34 crore—a 22.4% and 30.7% increase, respectively, over corresponding numbers for 2008-09. “The performance is ahead of expectations, especially the growth in net profit. The company has benefited from the decline in raw material, input costs which has increased the operating profits substantially. Despite a significant increase in advertising and promotional spends, savings on the input costs front contributed to more profits," said Sameer Deshmukh, an analyst with Mumbai-based brokerage Tata Securities Ltd. In a presentation to board members, the company said that its material costs in the September quarter were lower by 3.6% compared with the same quarter last year. Duggal warned that the trend wouldn’t last till the end of the financial year. “The third quarter looks benign, but in the fourth quarter the input costs are likely to go up." A Mint poll of six brokerages had estimated a 20.6-22.3% increase in revenue and 18.95-26.2% jump in net profit. Duggal also credited the better-than-expected results to new product launches and higher consumer spending that resulted in higher sales. The company’s board declared an interim dividend of 75% for 2009-10.